JK graduated from the FTII in around 2005. In 2008 he won the National Award for Best Cinematography for his short film ‘When This Man Dies’. His IMDB page is here. My first impressions of watching a film were magical transformations happening on a massive screen. Watching Sunday afternoon regional cinema showcased on DD, I began to immerse myself in studying and understanding the craft behind the poignant and dramatic portrayal of these narratives. Discussing with my uncle Sivaji Rao about how the height of camera placement affects the way a character is perceived, I realised I wanted to be a film maker. Did you start with photography? If yes, why did you choose to leave photography to take up motion picture professionally? My fascination for motion picture photography was the foundation for my interest in photography. I wanted to join FTII and decided to enroll myself in a Bachelors in Photography at JNTU college of Fine arts in Hyderabad. How did you first become interested in cinematography? While I was getting more interested in becoming a film maker, I saw a film which changed the focus of my pursuit. It was a Telugu film called ‘Geetanjali’. 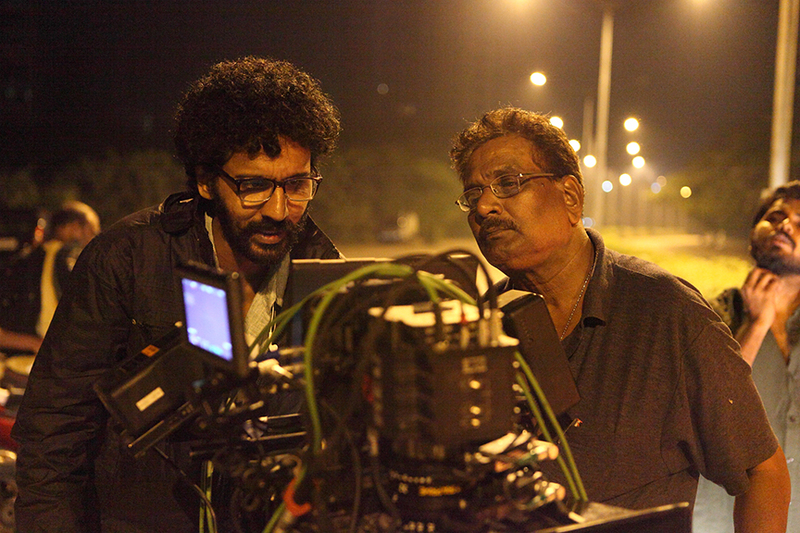 The masterful strokes of motion picture images in it, created by eminent cinematographer PC Sreeram were enthralling. I wanted to do be able to do what he did. Singing in the tune of the film with his camera movements. Dancing with the play of light. The way he bound all the elements to enhance the dramatic quotient of the storytelling was a treat to watch. I decided then that I wanted to be a Cinematographer. While I was studying photography in JNTU, I began watching world cinema at Hyderabad Film Club. Tarkovsky’s, Fellini’s and Bresson’s films among many others were a weekly diet. After I graduated with BFA (photography) I found out that there were no admissions happening at FTII that year. I joined Mr Sameer Reddy and assisted him for the next two years in Hindi and Telugu films. My time with him helped me understand the technical hands-on workflow that is a basic requirement for any idea to take shape. Assisting opens a window into a decision making process that is the most organic thing which happens on a shoot. One learns how to deal with a variety of challenging situations. The rest you learn making your own choices as and when the opportunity presents itself. After FTII, my film writer friend Gopimohan recommended my name to the producer, Mr Atluri Poornachandra Rao. Under his banner, I went on to shoot a Telugu film, ‘Mr and Mrs Sailaja Krishnamuthy’, directed by Mr Sivanageswara Rao. This set the foundation for my next films. How do you decide that you want to shoot a given film? What are those factors? Over the years I noticed that the factors kept changing. In the beginning it was any opportunity that came by. I regretted a few decisions because of which I became very choosy. I began to think and focus more on what a particular film script had to offer to me. As a principal collaborator, scripts where I could truly contribute were hard to come by. At least for me it was so. Now I take up any project that comes my way. I try and make the most of the experience and see it as a sharpening of the instinct and intuition. Practicing cinema is very essential to our growth. Cinematography is learning to sharpen your intuition. Even as we study to arrive at an aesthetic decision it is intuition which can translate the transient nature of an image into a timeless experience. Film making involves uncertainty. Risk taking can have it’s rewards but, sometimes it doesn’t pay off. 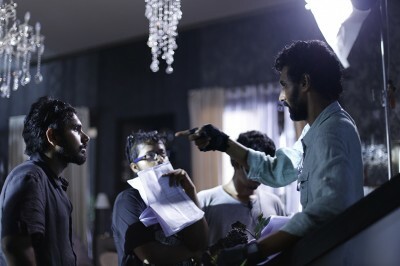 Risks have to be taken carefully within the parameters you set for the entire space of the film. We can never be sure if a risk will pay off- I guess this is where intuition comes into play. When it does not pay off- rewrite the footnotes. Tell us something about your latest film Pizza 3D. Pizza 3D is a remake of a Tamil film ‘Pizza’, directed by Akshay Akkineni and produced by Bejoy Nambiar and UTV. It was one of the most enriching experiences for me as a cinematographer. How did you decide on shooting 3D? What was the technology used? The producers wanted the film to be in 3D and we all agreed that it would enhance the experience of the film. We shot the film with Red Epic cameras (with Ultra prime lenses) along with 3ality TS5 3D rig by Technica. It was color corrected on Baselight. How was shooting 3D different from shooting regular/traditional images? I did some reading and research to understand how to adapt to this new medium. 3D comes with a new set of aesthetics. Traditional 2D image making aesthetics has its foundation in thousands of years of Art. 3D enhances the experience of cinema in an entirely new way. The way all the elements of cinematography come together is amazing. Right from the contrast and the quality of light to the way the camera moves and how we compose an image has to be different. I increased the fill level to accommodate the exploring eye looking for detail in the 3D space. The compositions were mostly central. Do you think the audience is perceptive about how cinematography augments moods and helps establish a sense of time and place? Audiences are mostly aware of what tool was used to create a certain mood. Today broadly speaking, the deconstruction and manipulation of image making is almost a daily affair. Thanks to new technology, mobile phones and the access to internet and media in general, people often appreciate the craft for what it does. How long they are conscious of this craft depends on how transcendent the experience was. There is so much emphasise on technology in the public dialog about cinematography. Is that a distraction from the real job? Has technology changed the way you work? Earlier the science of image making was almost like a guarded secret. There were technological advances taking place, but at a slower rate. Today, with innumerable recording devices and viewing platforms, constantly updating our knowledge has become a priority. Often this can distract us from the real job. I spend some time on the technical details and quickly move on to how I can integrate the new technology into the story telling. Technology has definitely changed the way I work. I draw my inspiration from all around me. Observing reality and studying how to break it down into tangible tools that I can later put together. Following all art forms to understand how artists express and appreciate their work. It could be an instagram photograph or a film that I have recently seen. Any advice to the aspiring cinematographers? Take up any work that comes your way as long as you can find challenges that are sure to sharpen your instinct. thanks for being candid JK..